As some of you know I have taken a hiatus from public writing since the death of my son 10 months ago. I have made several attempts to get back to writing about books and literature and have not quite been able to do it – though I have continued to write privately and have written quite a bit on my blog about losing Jesse; but writing about anything other than Jesse and seeking eternal truth has been difficult. This week I was contacted by an author who asked me to write a book review of a new biography about Claude Shannon, a 20th century genius and, apparently, father of information theory. I love biographies and know very little about Claude Shannon, so this seemed like a good opportunity to get back on the writing wagon. I agreed to do it. As for books in general, since Jesse died my reading life has fallen into two categories: accounts of near death experiences and novels by PG Wodehouse, author of a zillion humorous books, not one of which I had read before Jesse died. As of today I have read a dozen of them and plan to keep going until I’ve read them all. I find PG Wodehouse gives me breathing space — temporarily transports me out of the heaviness of grief and into a lighter space where rich British people say clever things and constantly get themselves into outrageously awkward situations. PG Wodehouse has been very therapeutic. Also his books improve your vocabulary and raise your awareness of language usage. So, now that my awareness of language usage is raised, I need to get something off my chest before embarking on the next phase of writing career — an irritating issue that has been simmering under my skin since I first entered the software development world as a technical writer fifteen years ago. The issue is this: the widespread use of the word “populate” to describe the practice of entering data into a software interface, as in “Now we need to populate the fields” — meaning we need to type or import information such as names, addresses, and numbers into a form on the computer screen. Sometimes this word even appears in a technical manual. Never in my technical manuals, mind you, but in some. And no one ever bats an eye at this outrage! According to the Online Etymology Dictionary the word populate as a verb comes from Medieval Latin and means “inhabit, to people.” The word populus was used in the Roman Empire and meant “a people, tribe, or nation” and referred to the multitude of citizens in classes lower than the Roman Senate. So, it seems, somewhere along the line some computer geek decided to take a 2000-year old word that specifically refers to human beings and appropriate it willy-nilly to mean bits of data on a computer screen. Unless you mean you are relocating people into your computer screen, I find this to be an insensitive insult to human language. As if computers have not already dehumanized us enough. At least leave words that mean human beings out of it and stop turning people into numbers. But I do not want to register a complaint without offering a solution. I don’t want to leave my colleagues in the computer industry hanging. I understand they desperately need a one-word verb to replace the grossly inaccurate populate. To that end I have done some hard thinking on the matter: let’s see….you want a word that means putting something into a previously empty space. What you are putting into the empty space is a bit of data. Transitive verbs such as load or insert or type demand to be combined with a direct object; also they don’t cover both manual and automated input. Hmmm. I propose datize. As far as I can tell this word does not so far exist, but words are coined every day, especially when dealing with an industry that did not exist a century ago. Datize it is both shorter and more accurate than populate. I think it could catch on. Also it has the advantage of not cannibalizing the soul of humanity. P.S. : Recently I attended a certain training session in which I heard the shocking statement “Leadership is a verb.” No. Sorry. Leadership is a noun, has always been a noun, and will always be a noun. Is nothing sacred? Lately my reading life has been taking me on trips in several dramatically different directions. In the reading life multiple directions is not a bad thing. In college you take five or six different classes, all of which have required reading; so you can be reading a work of modern literature such as D.W. Lawrence, a psychology text, a book on news editing, a book on statistics and analysis, a Shakespeare play, and piles literary criticism. In college that kind of reading load seems normal even if you are also working two jobs because you know all these seemingly unrelated books will eventually work together in the larger scheme that comprises your education. As someone who sees my entire life as an education, I know that every book I read will eventually find its place in the pattern of my life. How that pattern will finally come out I will not know until the last book falls to the floor with my last breath. Shortly after that significant event I will see clearly how every experience and every decision I made, whether in my career, in my personal relationships, or in the book store, fits the pattern. I hope the result is pleasing to my creator and without too many loose ends. But let us get back to the present where I belong. Here is the current crazy collection of books I am reading now – or have finished in the past couple of weeks or so. First of course, I am reading various works of philosophy. I recently completed my initial journey into the world of Kierkegaard with The Lily of the Field and the Bird of Air. Concurrently with reading Kierkegaard, I have been working my way through Leviathan by Thomas Hobbes. It is going to take me several posts to process Leviathan. I’ll probably do one post just on how reading a book published in 1649 can really help you deal with the craziness of the current world. 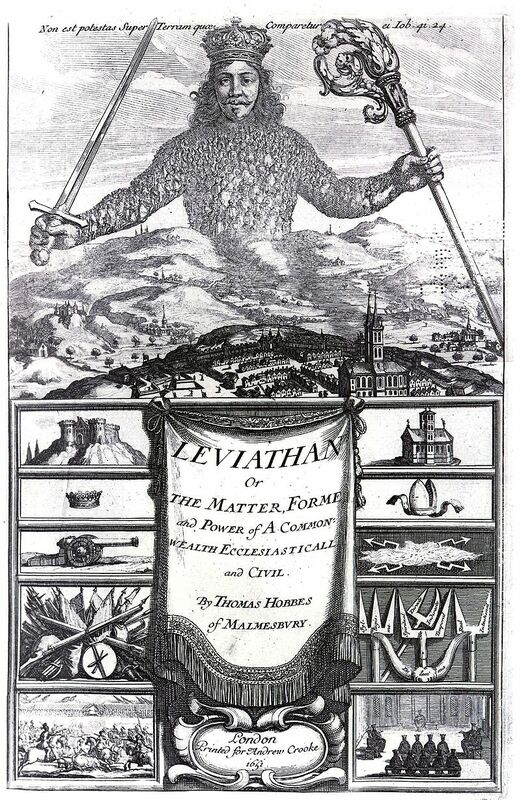 Leviathan is about human nature and how human nature works in politics and government. To compare what Hobbes has to say with U.S. Power politics in 2016 can be enlightening and amusing – in a dark sort of way. In addition to philosophy I have been reading a bunch of instructional books on writing fiction. I have written lots and lots of non-fiction but very little fiction. Since I have decided I want to it and have a great idea for a novel, I need to educate myself on the nuts and bolts. Fiction is a very specialized skill set and very few of us happen on to these skills naturally. I certainly do not. So I have have chosen a group of great writing instructors and am reading their books. I have finished Story Engineering by Larry Brooks, a great one, and am well into Voice by James Scott Bell and Sizzling Story Outlines by H.R. D’Costa. 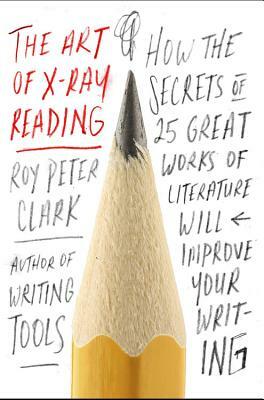 Also I recently read The Art of X-Ray Reading by Peter Roy Clark, another fantastic writing instructor. X-Ray Reading is about reading with a view to learning writing technique from the masters – what to look for to learn how great authors achieved the powerful effects they did. All of these instructors have successfully published fiction that people have actually paid money to read. Since that is more that I have achieved I thought it might be worthwhile to find out what kind of books they have written. My reading life has focused primarily on classics and “literary” fiction, but they tell me popular fiction is where the money is, and I am thinking that money might be not be a bad idea. I want to live in the mountains some day where there are not many employers, so I need to find a way to make a living. And then there is my book club, a group of six women who read and discuss books specifically on spiritual and religious issues. Being in this book club has been a wonderfully enriching experience for me. The group actually emerged from a broken church experience, an ugly conflict within the congregation that caused these ladies to question a lot of things about both church life and personal faith. The book club had been meeting for a while when they invited me to join them. I was hesitant because I don’t really like having a weekly thing to go to after work when I’m trying to build a writing career, but I went ahead and joined anyway and I’m glad I did. We have had some great discussions that have helped me clarify some things but we have also opened up a few truckloads of worms. 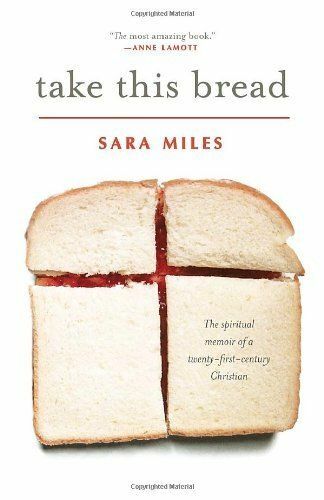 Our current book is Take this Bread by Sara Miles. Sara Miles was a war journalist during the conflicts of the 1980s in Central America. She was also a secularist and is a lesbian. One day she experienced a sudden conversion upon accepting communion at an unusual Episcopal church in San Francisco. This led her to take the Christian instruction to feed the hungry seriously and to become the founder a system of food pantries. Sara’s food pantries are unusual in that they do not ask anyone to fill out paperwork to “prove their worthiness” or fulfill any poverty requirements. All are welcome to the table, the food is free, and no questions are asked. She writes about how this has worked out – the obstacles, the problems, the thrilling successes of feeding the hungry mobs who show up. The book gets into the whole food distribution system – such as the incredible waste that makes the food pantries feasible. Really interesting. Other books we have read include Accidental Saints by Nadia Bolz-Weber, A Confession by Leo Tolstoy (my pick), Jesus and Nonviolence by Walter Wink and many others. Cartoon by Nicholas Bentley – Scene from Damon Runyon story “Breach of Promise”. In bed is Harry the Horse after injury during attempted theft. I am not sure exactly why I suddenly became enamored by Damon Runyon. I think it was a combination of things converging one late night: watching a few episodes of Boardwalk Empire, getting a threatening letter from the public/private toll-collecting racket in my area (they want $160 for passing through the tunnel five times or they’ll see to it I can’t renew my car registration…. ), memories of a long-ago summer when I was in a production of the musical Guys and Dolls. If you have not yet read Damon Runyon you have a true delight waiting for you. Runyon was a newspaper guy who wrote hilarious stories about New York gangsters in the 1920s and ’30s. The best thing about his stories is the unique dialect. Will write more about Damon Runyon in a future post. Currently I am reading a collection called More Than Somewhat and am also listening to some old Damon Runyon radio shows, I think from the 1940s. Another new direction is about to open up in my reading life. Occasionally authors will contact me to review their book and I do want to support other writers. So I will soon be reviewing Sandlands by the British writer Rosy Thornton. It’s a collection of related short stories that take place in a village in coastal Suffolk. Suffolk England that is. I live in Suffolk, Virginia. When Rosy contacted me I felt like it was a connection not to be passed up. When it comes to book choices I am a big believer in signs. Besides some day, hopefully in the near future, I am going to need bloggers to review my book. How about you? Are you a multi-tasker when it comes to reading or do you prefer to focus on one book or one direction? A couple of Memorial Days ago, on my previous blog, I published a series of posts honoring World War I veterans through some of the many poets who emerged from that horror. I am republishing that series here. The first link is just some of my own reflections on World War I and the wars in general. Of more importance are the poems that follow. All are written by men who experienced that war and eventually lost their lives to it. The book is not a sincere attempt to offer a serious model for European society to imitate. There is some controversy around More’s real purpose for writing the book, but it was certainly not to sow seeds of revolution. It seems to me mostly a veiled criticism of the corrupt political system of his time. More is not an early version on Karl Marx laying the foundation for a new society, even though his Utopia is basically a communist arrangement. There’s just no serious implied proposal that Europe ought to abolish money, monarchies, and power politics and be like Utopia. My sense is that Utopia is a sharp satire of More’s own society disguised as an anthropological study of a bizarre culture in a faraway land. Another thing you should know about Thomas More’s Utopia, is that this perfect society as described by Raphael includes slavery. In 2016 Ameria, that fact is enough for many people to trash the whole book at the outset. But because my policy is not to impose my era’s morality on literature of the past, I gave the book a chance. It is fascinating to observe that, in 1516, a society which included slavery could be considered ideal without so much as the raising of an eyebrow. It is just taken for granted as the way things are done, like eating animals or cultivating the earth. You’d think that in a book that is all about visualizing an alternative way to run a society, someone would question the whole notion of owning other people. But no one does. It seems like up until a certain point in history, perhaps the 18th century, slavery as well as various forms of semi-permanent low-paid servitude were simply accepted as a necessary part of human life, as if for civilization to exist at all it was assumed there had to be slaves. Even though this book was written nearly a century before Shakespeare, I found the English surprisingly modern. This is because More originally wrote the book in Latin and I read a 1901 edition of a 17th-century translation by Gilbert Burnet. I have not been able to find out the exact date of this translation, but since Burnet lived from 1643 to 1715 I am guessing he published it the latter part of that century. You can get free from the Gutenberg Project. Coming soon: The juicy details of how the Utopians achieve the best possible human society for its citizens: peace, security, plentiful food, shelter, and clothing, maximum health, meaningful work, and wholesome entertainment. After 22.5 hours immersed in a Noam Chomsky audio book, most of which was about why the human race is in deep trouble, I guess I needed to get out of the pressure cooker of this world and into another one. That’s probably why I subconsciously chose to listen to Dying to Be Me: My Journey From Cancer To Near Death, To True Healing by Anita Moorjani, a book I had never heard of before seeing in on sale, buying it, and finishing it in one day. The two books are such polar opposites it’s easy to believe my impulsive choice is more than coincidence. Noam Chomsky tells me I am trapped in a doomed world (unless we all quickly organize into international unions….). Anita Moorjani tells me I am not trapped in this world at all; in fact this world is a mere sliver of an infinitely greater reality, barely a cookie crumb on the lavish banquet table of the universe (my words not hers). The way Anita tells her heartfelt story, when she left her body it was as if all her life she had been living in a dark cave with only a flashlight, and suddenly someone flipped the light switch and she could see miles and miles of new things. Is it my imagination or do I hear echoes of Plato? Anita also says that human language is not adequate to describe what she experienced, a message common to every NDE book I have ever read. (While reading this book I realized how many of these I have read over the years, beginning with the granddaddy of them all: Life After Life by Raymond Moody, which I found as a kid in my parents’ Reader’s Digest. It was the featured condensed book.) All NDE stories are amazing, but Anita’s has some elements that are unique and even more compelling than most. She had been battling cancer for four years when her body finally gave out. Her lymphatic system was filled with lemon-sized tumors, her skin was covered with lesions, and she weighed 70 pounds. One day her organs began shutting down and she fell into a coma. At the hospital the oncologists told her husband and mother that is was over. There were a few things they could still do to make her more comfortable, such as draining the fluid out of her lungs, but she would surely be dead in a matter of hours. Anita says she had left her body by then and heard all the discussion and witnessed the procedures done to her unconscious body. She was able to relate the information later. During her NDE Anita was given a choice whether to return to her body. She felt she had a mission to help people, so she agreed to come back. Within a few days she was free of cancer. From the brink of death she was talking and laughing with her family within one day. The doctors insisted on testing her for two weeks but could not find the tumors or any sign of cancer. The doctors also thought she would need skin grafting for the lesions, but they quickly healed without the grafting. Within a few weeks she was attending a friend’s wedding. If you want to know all that Anita found out about the afterlife and the greater reality, I recommend you read the book. The way we process this kind of information is such an individual thing and best told in the words of the person who experienced it directly. Although most NDE stories have some common elements, it seems to me that cultural background and personal experiences influence what the person experiences and how they interpret what they experience. For example Anita says there is no judgment. That’s right. No. Judgment. Other NDE stories describe meeting people who have been saved from damnation and a few even describe Hell. I can only suppose it is not the same for everybody. It makes me think of the words of Jesus in Matthew 7:2: “For with what judgment you judge, and with what measure you measure, it shall we measured to you again.” If that is true, then I suppose our experience after death will vary according to our attitude about judgment in general. NDE books have another thing in common: the NDE portion is very short. The rest of the book consists of what led up to the NDE, the aftermath – waking up or coming back, describing it to others, the emotional impact, etc. – and then we always get the person’s interpretation of what it all means, the message. I was as fascinated by Anita Moorjani’s background as by her NDE. The daughter of Indian parents, she was raised in a traditional Hindu faith. However she never lived in India. Instead she spent most of her childhood in Hong Kong, had a Chinese nanny, and attended English schools, where she says she experienced bullying and exclusion. She wanted to please everybody, especially her parents, but she was not excited about her parents’ plan for her to marry a traditional Indian man and be a traditional Indian wife. After many stressful meetings with prospective mates and one painful broken engagement, Anita finally met her soulmate, an Indian man who shared her values and dreams. The thing about NDE books is that there is only one witness to the veracity of their story. Often, as in Anita Moorjani’s story, the person can accurately relate information they could not have seen in their unconscious or lifeless state, but we have to take their word for the amazing things they tell us they experienced. I give all these people my belief that they are telling the truth. If I ever found out someone had presented one of these experiences as truth when it was really fiction published to make a buck, I would be very upset about it. Anita Moorjani’s miraculous healing adds substantial weight to the truth of her story. There are many more of these accounts. Amazon lists hundreds of them. My list includes some of the more popular ones. Note to my classics readers: Next post is about my latest Trollope. I promise. Last post was a stupid experimental thing about doodling while reading Chomsky, so I thought I’d follow up with a more conventional post now that I’m nearly finished with the audio book. I can’t guarantee this one is much more intelligent, but at least it doesn’t involve doodling. After this I promise I will get back to the serious business of discussing Victorian novels. And by the way, Happy St. Patrick’s Day. Sorry I don’t have a more St. P’s oriented post. The closest thing I have to something Irish is a post on Phineas Finn Redux by Anthony Trollope. I am driving to work so early that the sun will not rise for another two hours, listening to an audio book called Understanding Power: The Indispensable Chomsky, a collection of talks and discussions by Noam Chomsky the famous MIT professor of linguistics. I have never read anything by Chomsky before except one article – an interview by David Barsamian in the June 2014 issue of The Sun called Noam Chomsky: On How the U.S. Breeds Inequality at Home and Instability Abroad. The article interested me enough to seek out a Chomsky audio book. I read for one purpose: to further my understanding of truth. 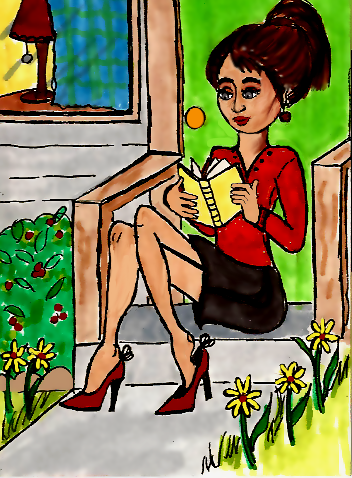 I do not read to relax – reading always stimulates me. If a book relaxes me I fall asleep. Nor do I usually read to entertain myself, although entertainment is almost always a fringe benefit. I am 97 percent done with the audio book, which is like 22.5 hours long, and I must say it is causing me to see the world differently. The world Chomsky describes is scary and getting scarier all the time. These talks occurred in the late 1980s through around 1999, so it is interesting to hear his perspective on events and decisions that immediately preceded the world we are living in now. As Chomsky describes it seems there is a web of power spreading like an interconnected cloud of darkness over the political globe made up of an insulated class of rich and powerful people getting fatter and fatter while 99 percent of world’s population slowly declines into more or less hopeless poverty. The vast majority of people outside the web of power are considered to be cannon fodder or “consumers” or simply disposable, as in the exploding U.S. prison population. A dark vision indeed, but Chomsky gives too much evidence and speaks with too much plain common sense to simply disregard it. Very early morning is my best time to contemplate. I contemplate if all the disposable products that are marketed at us tend calibrate ours minds to disposable mode – disposable people, disposable time. Or if we are conditioned to think of all things, even time, as product – i.e., those neatly scheduled blocks of quality time we are supposed to plan with our children. It makes me think of Erich Fromm, his concept of having vs. being. Everyone has part of the puzzle. Perhaps the puzzle is not that hard. It’s just that – perhaps – and God knows I am not quick to leap to judgment – the web of power has an interest in obscuring the clear truth from the 99 percent. Because the truth would make us angry, as in French-Revolution angry. I may be mistaken, but I get the idea Chomsky believes this world is all there is. He seems to see religious faith as a symptom of lower, less advanced society, at least when he talks about the American south. He thinks the only hope is for the people of the world to organize social activism groups and international unions. I do believe there is a power higher than the world’s web of international finance but I understand where Chomsky is coming from. It’s like people sense they are getting screwed. We know there are powerful organizations working daily against our personal interests, as evidenced by all our conspiracy theories. But most of us do not understand the details: things like how international currency values work and how trade deals are made that further enrich the wealthy while shutting down factories in towns or how deals are made that enable the manufacture of chemicals for short-term profit that destroy the atmosphere and God knows what else. Town of Pulaski Virginia. Photo by Aaron Apple. Even when we do understand the outlines of how these things work we feel helpless to do anything about it. We don’t have the money or the access to the fancy dinners and golf courses and conferences and schools where these deals are made that are sucking the life out of our little economies. So some of us go to church and pray. Chomsky might say this faith energy would be better devoted to organizing some action. And who am I to say he is wrong? That might be exactly God’s intention. My guess is that doing while praying would be the most productive plan. So far I think the book has lived up to its title. It is furthering my understanding of power.